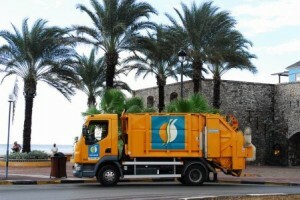 WILLEMSTAD - The garbage pickup has suffered some delay due to the strike of last Monday. This has been announced by Selikor’s management yesterday in a written statement. The staff will work through the weekend to catch up and pick up the garbage in all areas. On Monday and Tuesday, the employees of the waste management company laid down their work and blocked access to the landfill. They did not agree with the appointment of supervisors at the company. Of the three proposed candidates, there was one person, who despite scoring as the best during the selection process, had not been accepted. Selikor is apologizing for the inconvenience.